In 2009, Dr. Rudolph adopted a vegetarian diet, and then a whole foods, plant-based (vegan) diet a year later. He founded this website at that time with a goal of providing reliable, high-quality, evidence-based health and wellness information to improve the knowledge of both patients and medical professionals alike. He continued his education in the field of healthcare in 2010 by earning a certificate in Plant-Based Nutrition through the T. Colin Campbell Foundation and eCornell University. In 2016, Dr. Rudolph successfully passed the pharmacotherapy certification exam administered by the Board of Pharmacy Specialties®. He is now a Board Certified Pharmacotherapy Specialist who works alongside physicians in a hospital setting to optimize patient's medication therapy regimens. 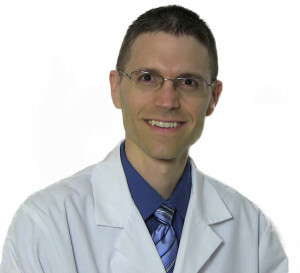 Dr. Rudolph has become an expert in nutrition and lifestyle medicine. He uses his expertise as an educator, speaker, and writer to help others learn how to prevent and reverse chronic disease by adopting a whole foods, plant-based lifestyle.